DEVELOPMENTAL. 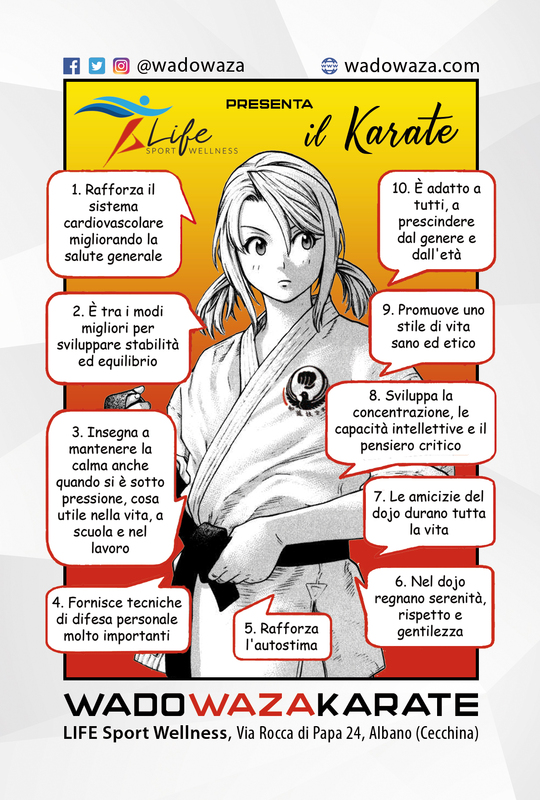 Karate is a martial art in which all the possible parts, all the possible abilities and all the possible movements of the human body are to be used and developed. Therefore its practice is ideal in the developmental age. ATTENTION STATE TRAINING. Furthermore, the traditional martial arts, to the well-known beneficial effects of physical training, add something more: the AST – Attention State Training. A workout that can be decisive at school, at work and in everyday life. Therefore, children can greatly benefit from it. THERAPEUTIC. Scientific studies show that traditional karate enhances brain faculties and that Wado-ryu is also a valuable therapeutic resource for behavioral disorders, aggressiveness, ADHD – Attention Deficit Hyperactivity Disorder, autism, social phobia and anxious-depressive syndromes. CHARACTER. In our children’s class we always accompany the practitioners on the path of traditional Japanese karate in a progressive manner, cultivating both the martial perspective and the sporting practice, but making sure that the latter always remains at the service of the first. The true goal of Wado-ryu karate is not to win medals, but to achieve maximum ability, effectiveness and harmony between mind and body, forging characters and cultivating the potential of each practitioner.